Clubs accept new members by invitation. To see if our club is a match for you, please come to our meeting. If there is a good fit, we'll ask for a membership application. If you’re between the ages of 12 and 30, you may be interested in joining one of our service clubs for young professionals and youth. Like Rotary clubs, Rotaract and Interact clubs give their members the chance to make friends, develop leadership skills, and create positive change. 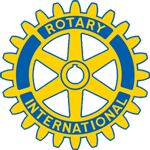 Learn more about Rotaract and Interact clubs.